Wendy’s has declared a “bacon-takeover” to celebrate the 2019 Year of the Pig—and to bring together Overwatch fans for the love of all things pork. Wendy’s is hosting a livestream on Twitch from 12pm to 3pm CT and they’re inviting the fans to join them. It’s not clear what the livestream will entail, however except a pig themed blast, with fireworks and all. There’s most likely going to be Overwatch goodies up for grabs. Either way, it’s going to be jam-packed with Overwatch, and most likely delicious, crispy bacon. 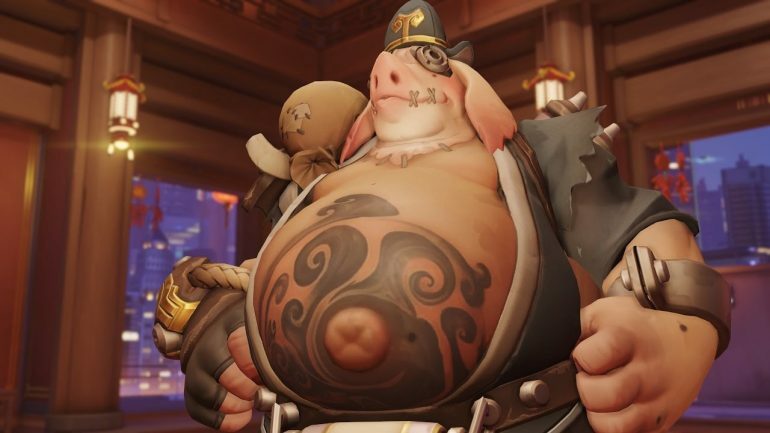 And why not celebrate Overwatch’s Lunar Year’s 2019 Year of the Pig by eating bacon? Pork is a staple protein in China. There’s absolutely nothing stopping you, except maybe vegetarianism, or religion. Wendy’s is offering an enticing “Baconator,” and a $0 delivery through DashDoor, the fast food delivery app, with a $10 purchase. The deal will be available from now until Feb. 4. You can use the code FREEBACONATOR to receive the limited time offer. Overwatch’s Lunar New Year started on Jan. 24, and will run through Feb. 18. If you’re an avid player, you’ll not want to miss out on all the Chinese New Year themed skins currently available in game.